Scholarship recipients (from left, top row to bottom): Lyndsay Sutton, Willie Blevins, Victoria Markle, Kristen Jares, Kaitlyn Henry, Rachael Moser, Andrea Pair, Amy McNeil, Standra Jones, Cirar Butler and Emily Jones. 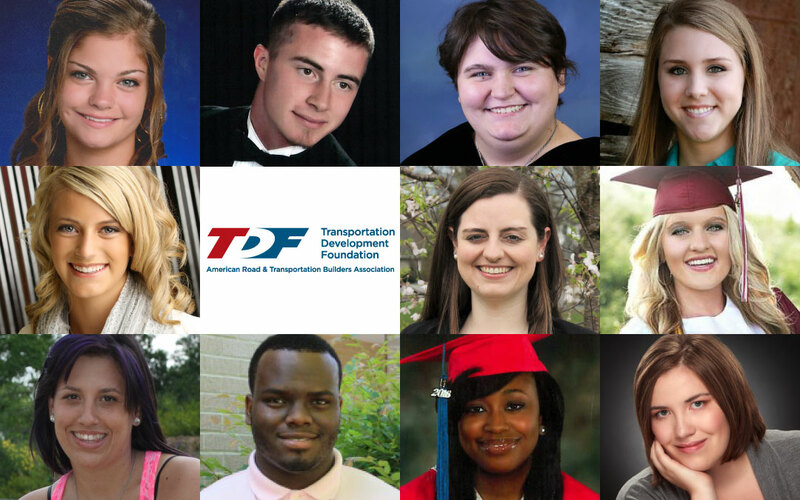 Eleven children of highway workers who were killed on the job, including seven prior recipients, will receive college financial assistance for the 2016-17 school year from the ARTBA-Transportation Development Foundation’s (ARTBA-TDF) “Lanford Family Highway Worker Memorial Scholarship” fund. The scholarship program was established in 1999 with a gift from two Roanoke, Virginia, highway contractors—former ARTRBA chairmen—and their companies: Stan Lanford of Lanford Brothers, and Jack Lanford with Adams Construction Company. It has provided more than 120 scholarships to children of these fallen workers from 25 states across the country. About 100 highway workers are killed annually in roadway construction and maintenance accidents, and thousands more are seriously injured. The 2016 Highway Worker Memorial Scholarship class includes Rachael Moser of Washington, D.C.; Lyndsay Sutton of Cape Coral, Fla.; Amy McNeil of Lumberton, Texas; Kaitlyn Henry of Dennison, Ohio; Andrea Pair of Spiro, Okla.; Victoria Markle of Port Charlotte, Fla.; Cirar Butler of Gunnison, Miss. ; Kristen Jares of West, Texas; Standra Jones, Jr. of Gaston, S.C.; Willie Blevins of Commerce, Ga.; and Emily Jones of Billings, Mont. See our press release to read more about each of our recipients. The ARTBA-TDF is interested in receiving contact leads on students who could benefit from the scholarship program. Please share them with ARTBA’s Eileen Houlihan at ehoulihan@artba.org, or 202.289.4434.